Pray for the details that must happen to make this trip possible – paperwork, arrangements, travel arrangements, financial needs, health, and any other roadblocks that Satan might try to put up. Pray in advance for the Holocaust survivors and children that will come to camp. Pray that God will prepare their hearts to receive a message they aren’t looking for and are likely to be resistant to hearing. Pray during the camp that we might have the words and means of showing God’s love to a people who are missing the Messiah. Please pray that we will hear and follow God’s leading as we have this opportunity to minister to this group of people. Pray after the camp that the message of God’s love will take root and change lives. Pray for safe travels for us. Pray that making this trip will teach our children the importance of serving God by sharing his love with others near and far through their direct involvement. Pray that this ministry experience will strengthen our family and our relationships with God. Pray Ben will fulfill God’s purposes in his role as a member of the board of directors for Polish Christian Ministries, and his artistic, technical and construction gifts might be put to use to further the ministry of the camp. Pray that Rachel may use the Embracing Grace ministry to reach out to some hurting moms and dads in Poland, and encourage those she has already met. We’d love to know that you are part of our prayer team! Leave a comment below to let us know you’re supporting us in prayer! You can also submit our prayer commitment form and we’ll send you a little gift to remind you to pray! Rachel, I am praying for you, Ben & your family while you arm yourselves with God’s word & go forth to bring His message to those who desperately need to hear the gospel. I pray that their hearts will be open to His message, working in their lives while you are there & after you are gone. I pray that the seeds you plant will take root,helping those who accept Him to grow in His word & be a witness to others. I pray that God puts his armor around you as you travel, keeping you safely in His arms, giving you peace, strength and good health as you are emboldened to share His word. I pray that God’s word be hidden in your heart so that satan will flee, freeing you to go where God leads during this mission I pray for God’s hedge of protection to be around your children and those who will be caring for them & that your precious children will have a strong, wonderful foundation as they witness their parents being obedient to God through faith. I pray that this will bring you closer to one another as husband & wife and as children of God. I pray that you will feel His love surrounding you &your family as you take this leap of faith & step out of your comfort zone. 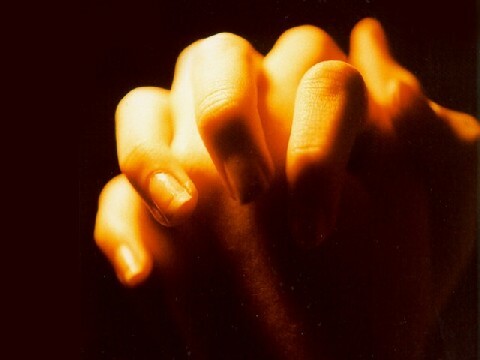 If there’s one thing I can spend all day doing, it is praying, know that I am unceasingly praying for you. Much love! Jan, you are such an amazing prayer warrior. Thank you for sharing this beautiful detail of your prayers. You have such insight. I am grateful to have you praying for us. Heck yeah we’ll be praying for you! Love you guys! Proud of you both!